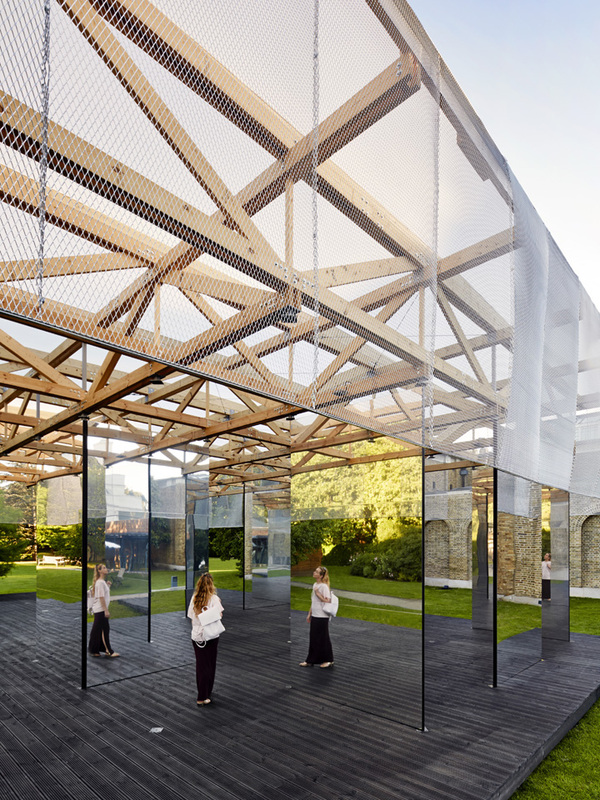 Comment from Architects’ Journal: the pavilion’s design is a contemporary response to Soane’s Dulwich Picture Gallery, marking its 200th anniversary as well as the launch of the London Festival of Architecture. 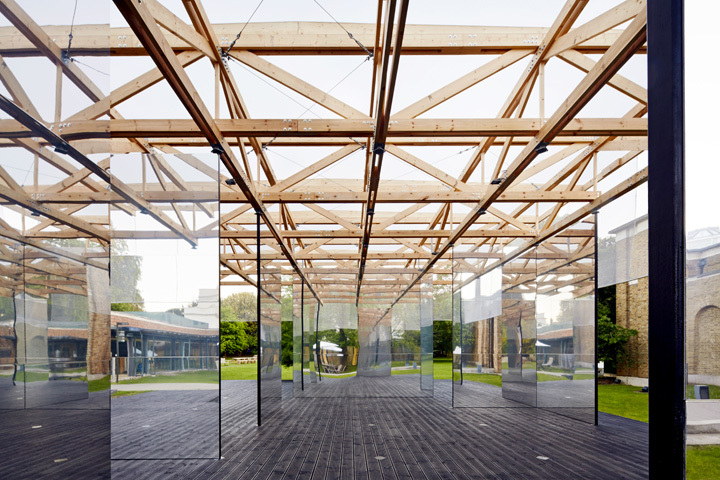 The structure consists of a series of 5.5m high, 50mm thick mirrored panels, only three of which are structural – the rest being moveable – supporting a lightweight timber and metal mesh roof. 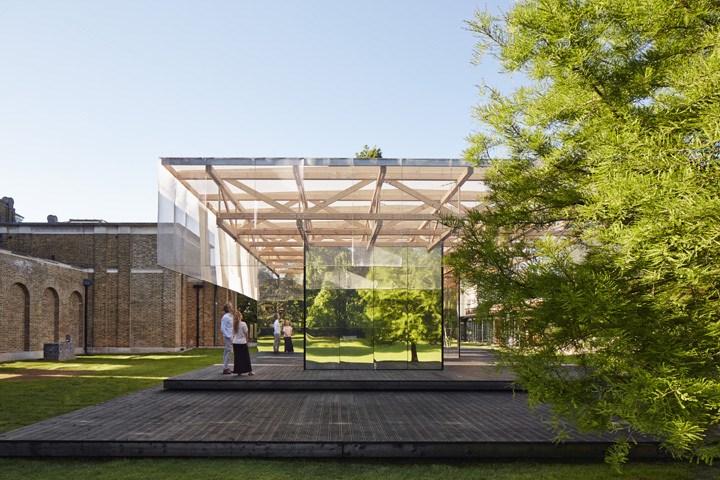 The roof appears to float above the panels’ reflective surfaces, which optically disappear at different angles, scrambling views of the monolithic brick façades of Soane’s gallery and its landscape setting – making nature and architecture appear to merge. The pavilion will provide a temporary events space and bar for the gallery, allowing for an expansion of its events programme before it closes on 8 October. Straight on view John Soane’s Dulwich Picture Gallery and IF_Do pavilion. 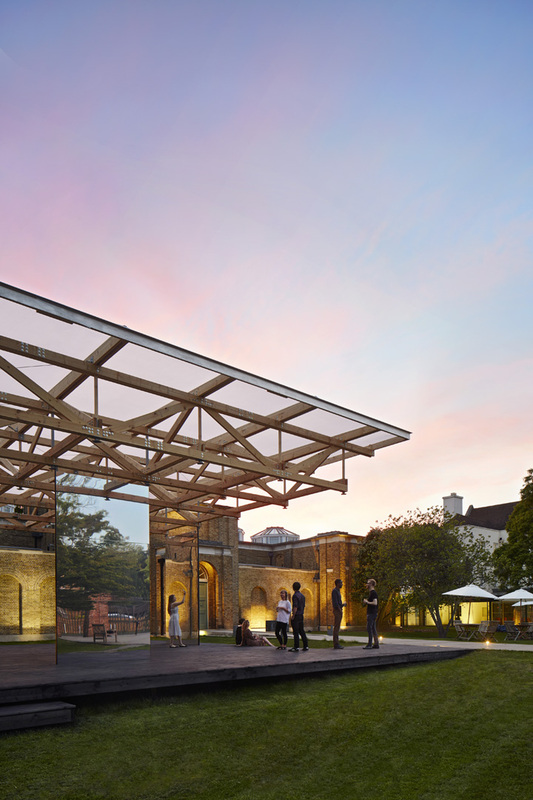 Dulwich Picture Gallery Pavilion, London, United Kingdom. Architect: IF_DO , 2017. 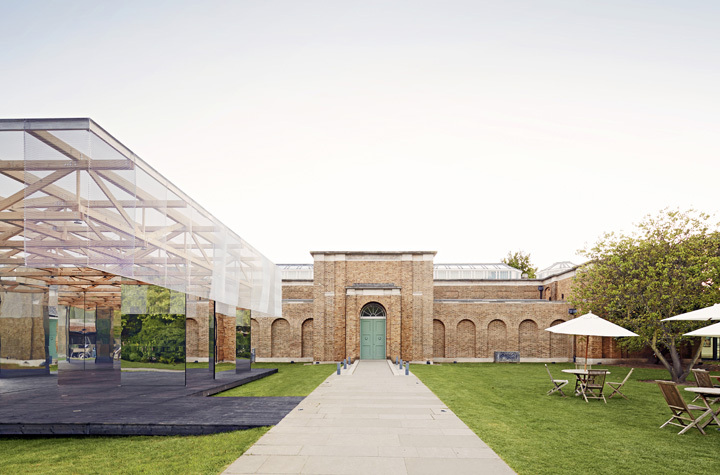 View of Dulwich Picture Gallery’s Summer Pavilion next to John Soane’s Gallery. Dulwich Picture Gallery Pavilion, London, United Kingdom. Architect: IF_DO , 2017. Detail of wood trusses and mirror screen reflection. Dulwich Picture Gallery Pavilion, London, United Kingdom. Architect: IF_DO , 2017. View of Dulwich Picture Gallery’s Summer Pavilion. Dulwich Picture Gallery Pavilion, London, United Kingdom. Architect: IF_DO , 2017. Summer evening shot for Friday Late’s Event at Dulwich Pavilion. Dulwich Picture Gallery Pavilion, London, United Kingdom. Architect: IF_DO , 2017. View looking out from pavilion. Dulwich Picture Gallery Pavilion, London, United Kingdom. Architect: IF_DO , 2017. View looking through pavilion next to John Soane’s Dulwich Picture Gallery. Dulwich Picture Gallery Pavilion, London, United Kingdom. Architect: IF_DO , 2017. Straight on view John Soane’s Dulwich Picture Gallery and IF_Do pavilion at night. 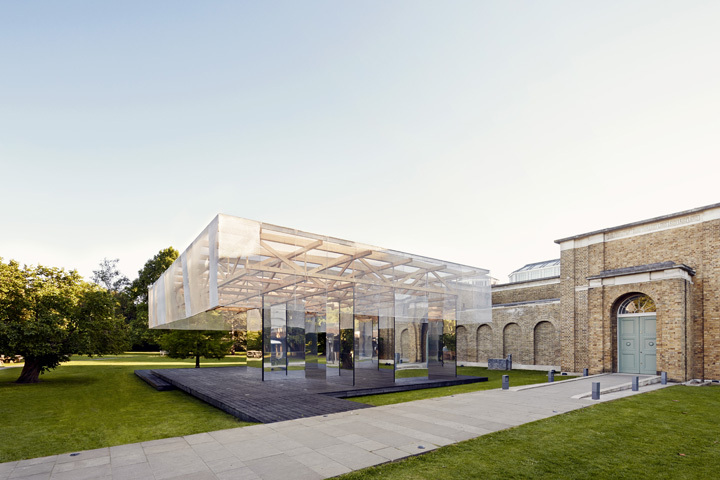 Dulwich Picture Gallery Pavilion, London, United Kingdom. Architect: IF_DO , 2017.